How can Oly EM-1 compete when FF DSLR with L zoom goes for $2300? Can a Leica FF competes with CaNikon FF even for the same price? The way I look at it, FF users are getting more and more insecure about their gear. They are trying to justify lugging those “BIG” gears around. The M43 system is still at infancy and as technology moves forward, the M43 system will catch up with the established FF. It’s happening now with the Oly E-M5 (soon to be released E-M1), Pana GX7. These little cameras have already got more features than some, if not most higher end DSLR. The quality of photos these systems take is good enough for majority of the users as many stated. People will always buy what they want. But in reality, buying a system is not a competition but a compromise. People choose a system for their own benefit. To suit their needs. Some have multiple systems and use it accordingly. Me? I’m a “snap-shooter”. Photography is a hobby. Meaning I take pictures that interest me. I will use a camera that suits my needs. And as all of us grow old, like me, I cannot see myself carrying a full set of FF gear when I go out and take pictures. 30+ years ago, I use to carry 2 Nikon F3 with Motor Drives, 5-7 lenses, flashes, load of films, filters, extra batteries, etc. We’re talking 25-30+ lbs of gear. Fast forward to the 21 century, with the birth of the U43 System, I can now carry the same amount of gear for less than half the weigh if I have to and enjoy what I do, snapping pictures. Picture quality wise? My E-M5 is good enough for me. Even the 1” sensor Nikon V1 that I got on sale is good enough for some things that I it used for. As I mentioned, buying and using a gear that suits someone is not a competition but a compromise. Agree. Here's why for me. I'm a different market. Re: Agree. Here's why for me. I'm a different market. 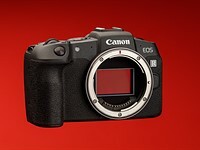 Re: How can Oly EM-1 compete when FF DSLR with L zoom goes for $2300? Exactly: it's the price of miniaturization. Re: Exactly: it's the price of miniaturization. Re: I'll have a try. Re: How can BMW 328i for $37k compete when the Ford Taurus 3.5 Ti-VCT is $35k? Size and other important qualities. Re: Size and other important qualities. How can a Mini Cooper SD compete with a Audi A4?